The tenth generation of the Honda Civic has been a major step forward for the Japanese brand but are they doing enough to keep up with the competition? 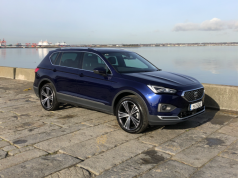 All you must do is look at the list of winners from the Irish Car of the Year Awards for 2018 and you will find Honda with their grips firmly on two awards. Winning the Compact Car of the Year award is one thing but to also take the gong for Innovation is another. This was awarded to the Civic for its suite of safety features which are standard across the Civic range and something which Honda should indeed be proud of. 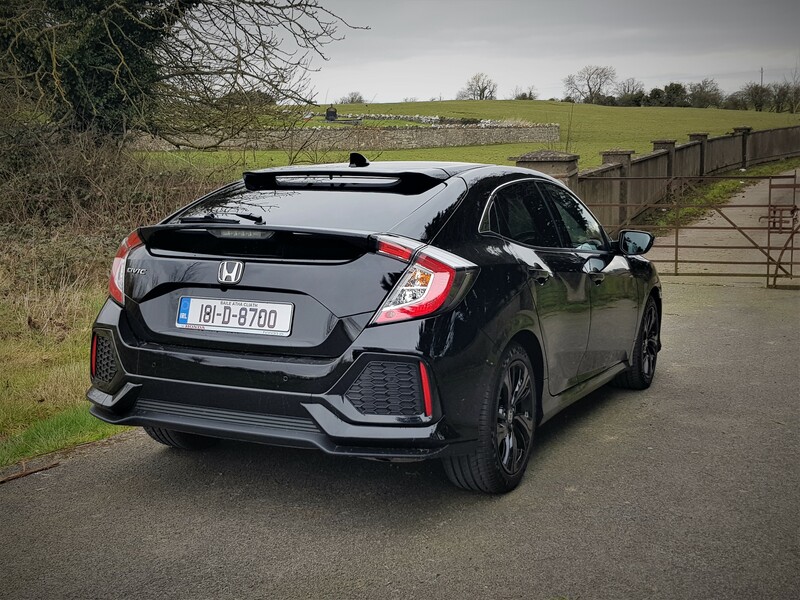 Having previously had the opportunity to test the potent little 1.0 litre petrol version of the Civic following its launch here in Ireland, now was the turn of the diesel version and it certainly did not disappoint. You see there is something about the Civic in any guise that makes you just want to drive it. As I made my pickup on the Monday I joked with the staff about being worried how the diesel Civic would hold up with the forecasted snow. The staff at Universal Honda laughed it off and noted that I’d be the first journalist to put it to such a test. I need not have worried. The diesel Civic performed flawlessly over the course of a tough week of driving. From the outside looking in, the new Civic looks confident with a sporty character to it also. The athletic look begins with the low and wide proportions which reflect an increased footprint. The new Civic is 30mm wider, 130mm longer and 20mm lower than the previous model thus producing a sleeker profile for the new model. These increases are not restricted to the exterior as the interior also benefits from increased space. You get the feeling that the Civic is starting to grow up. As you sit into the new Civic you are welcomed by an abundance of space throughout the cabin. The materials that have been used throughout appear to have a long-lasting feel to them. One down side that I cannot overlook however is that the infotainment touchscreen does appear dated when compared with the competition. This may be something that will be addressed by Honda going forward as the rest of the interior appears to be up to date. The driving position has been lowered by 35mm from the previous model. This creates a more secure feeling area around the driver. 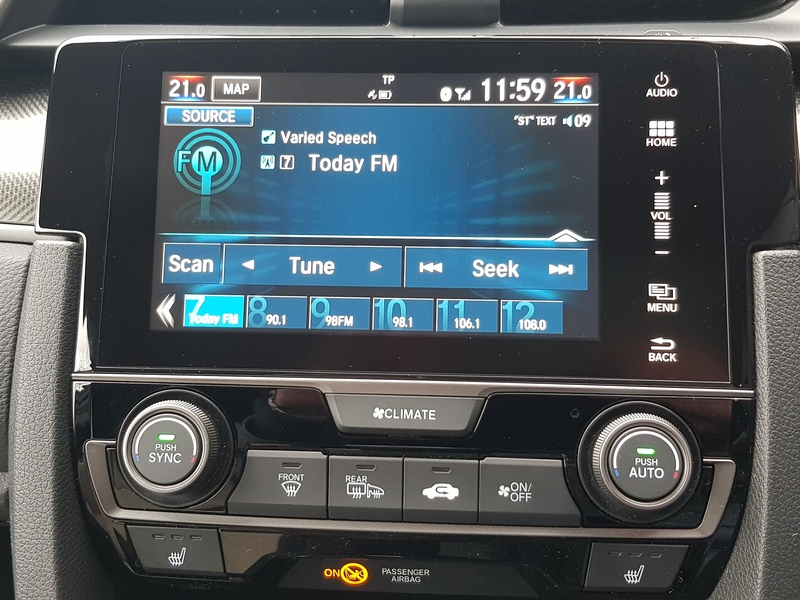 The dashboard has also been lowered considerably by 65mm which results in improved forward and downward visibility which has resulted in what Honda claim to be a class leading forward visibility. The cabin does feel spacious and airy because of the changes it must be said. In terms of boot space, the Civic offers 478 litres with the rear seats in place. The rear seating can be split / folded 60:40 to increase boot capacity up to an impressive 1,267 litres. The new Civic has been engineered from the ground up on a whole new platform to fulfil a promise of agile and rewarding dynamics. With a lightweight build and a low centre of gravity the new Civic brings you back to what we have learned to expect from a Civic. An engaging and energetic drive. As I outlined above, my test week also encountered Storm Emma and the snow storm that was dumped across most of Ireland. As many sought safeties in their homes, unfortunately I was forced to brave the elements on several occasions. The diesel Civic performance over the course of these journeys surpassed all the expectations. Surefooted would be the best way to describe it if I’m honest. We all know that driving in snow requires a level of simply taking your time to arrive at your destination safely. We have all also experienced that unexpected spin or skid. Please don’t think for a second that I am recommending the Civic as an alternative to an off-road vehicle, but I found its ability to spread its weight and simply soldier on was excellent. The mentioned lowered centre of gravity played a major role in this no doubt as well as excellent feedback in the steering. Away from the snow-covered roads, the new Civic handles brilliantly. Given the engineering that has been put into the chassis it shows straight away. The steering is light, direct and accurate and allows you to push the Civic on that little bit further all the while still keeping you where you should be. 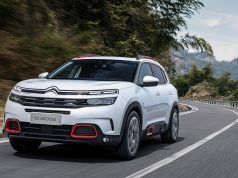 With the inclusion of the adaptive damper control it ensured that the suspension was always at the ready when a stiffer response was required. I have to say that the new Civic proved to be one of the most entertaining, energetic and engaging drives I have had in a car in quite some time. It doesn’t throw you around to a point where you get dizzy, it doesn’t roar at you until you go deaf, it simply reminds you that driving is fun. Also, worth noting is that all new Civics’ come with Honda Sensing safety package as standard. This package includes collision mitigation barking system, forward collision warning, lane keep assist system along with lane departure warning, road departure mitigation which uses subtle steering corrections to keep you in your lane and will also apply the brakes if required, adaptive cruise control and traffic sign recognition. Honda should be commended for the inclusion of such a vast list of standard safety equipment. There are four trim levels available with the 1.6 litre i-DTEC; Smart, Smart Plus, Premium and Premium Plus. The premium trim which is the finish of this test car includes the addition of reversing camera, blind spot warning system, leather interior, heated front and rear seats (which I was always glad of), sun-roof, keyless entry and start, Dual zone climate control, rear privacy glass as well as leather steering wheel and gear knob and alloy pedals. 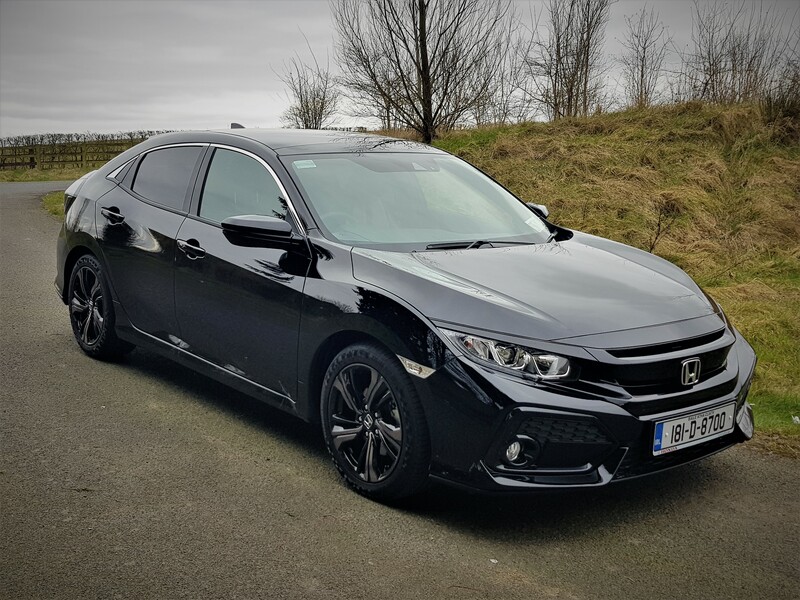 Pricing on the diesel Honda Civic starts from €25,550 which is relatively close to some of its rivals. 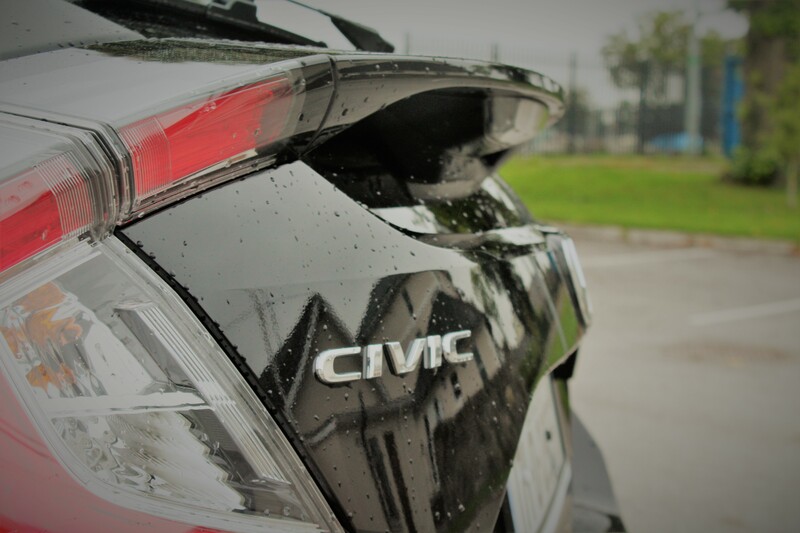 What sets the Civic apart from the rest is the fact that you get more equipment as standard with it than what is offered by its competition.